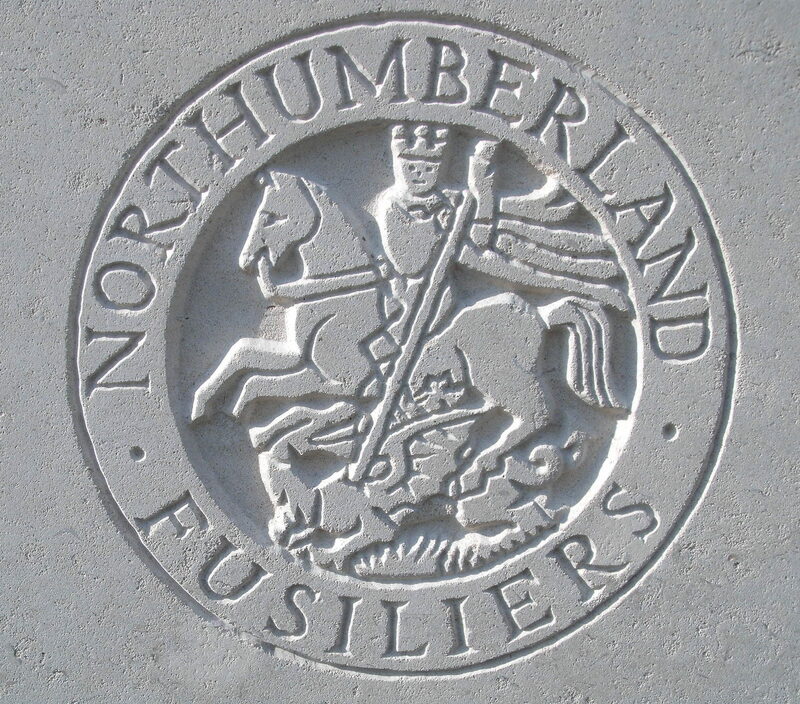 1st Bn, The Northumberland Fusiliers, 9th Brigade, 3rd Division, B.E.F. George Dutson was born in Hereford and joined the army in Leominster before the First World War. His link with Malvern Link is unclear. George was born in Holme Lacey, Herefordshire in 1881, the son of John and Fanny Dutson. By 1891, the family had moved into Hereford itself, living at 58 Portfield Street. John Dutson was a labourer for the Hereford Corporation at this time, supporting seven children. Their places of birth show that the family had moved from Holme Lacey around by 1886 to Much Brich, and were living in Hereford by 1889. From George’s army number it seems likely that he joined the Northumberland Fusiliers as a regular soldier, perhaps around the time of the Boer War (by 1901). After transfer to the Army Reserve and civilian life he met and married Rose (also known as Rosa) in 1909. and in the 1911 Census they were living at Hillfields Lodge, Bridgnorth Road, Upper Arley; George was a domestic coachman. He landed in France with the 1st Northumberland Fusiliers on 13th August 1914. The Army Register of Soldiers Effects record that he was killed on or since 26th October 1914 and that his death was assumed; therefore while Soldiers Died in the Great War record him as “died” (i.e. usually of sickness), to be posted missing a soldier was usually considered to have been “killed in action” and is recorded here as such. George is also commemorated at Hereford Baptist Church on Commercial Road; perhaps where he worshipped as a child and where is parents were still members of the congregation?